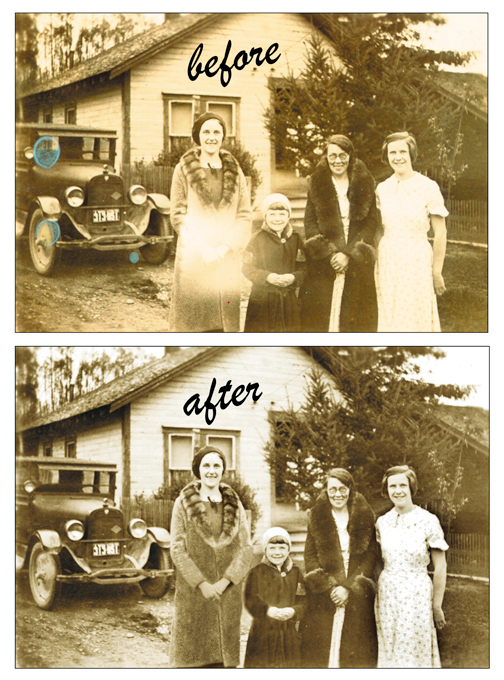 These are a couple of examples of photo restorations. It is often the case that the most important photos have major flaws due to age, wear and tear, mishandling, or just bad pictures. We employ our background in art, combined with an intimate knowledge of technology to make the old look new again, fix mistakes and bring out details lost in original photos. Note in this first example hands are now visible and a print pattern appears in a dress that originally looked like a solid white. 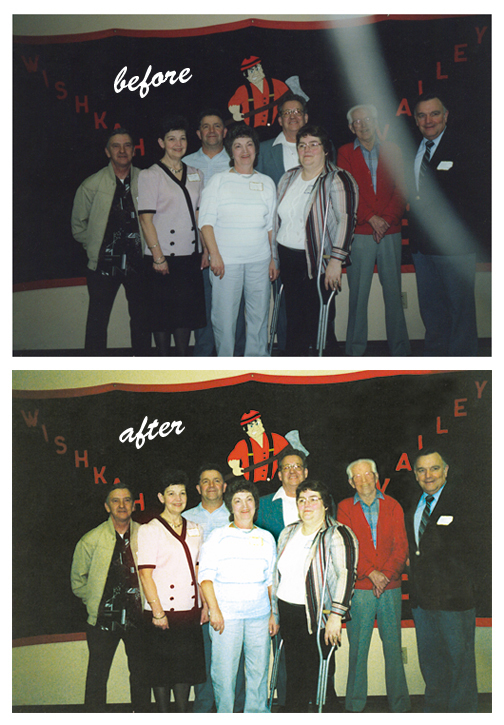 In the second sample, a contemporary family reunion photo is ruined by a strand of the picture taker's hair covering the lens. Of course, the most important person is the gentleman in the red sweater.